When Pyotr Ilyich Tchaikovsky died of cholera in 1893, he was Russia’s most celebrated composer. Drawing extensively on Tchaikovsky’s uncensored letters and diaries, this richly documented biography explores the composer’s life in the artistic culture of nineteenth-century Russian society, revealing how he became a figure of international renown. Tchaikovsky was gifted with a prodigious work ethic and a commitment to writing music that was as scrupulously crafted as it was artistically inspired. His music struck audiences as supremely communicative and appealed to wealthy and influential patrons, such as Nadezhda von Meck and Tsar Alexander iii, as well as Russia’s growing audiences for serious classical music. He became the nation’s leading musical celebrity, performing at the opening of New York’s Carnegie Hall in 1891 and receiving an honorary doctorate from the University of Cambridge in the summer before his death. Yet such success came at a price, and Tchaikovsky found the social obligations that his fame entailed burdensome. 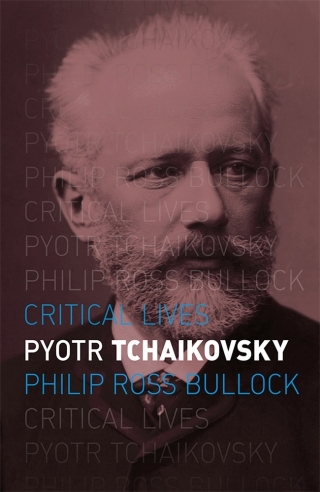 Setting aside clichés of the composer as a tortured homosexual and naively confessional artist, this engaging biography paints a new and vivid picture of Tchaikovsky that weaves together insights into his music with a sensitive evocation of his inner emotional life. It contains accessible introductions to his key compositions, as well as suggesting less familiar works for readers to explore, making it essential reading for all those who enjoy classical music. Philip Ross Bullock is Professor of Russian Literature and Music at the University of Oxford, and Fellow and Tutor in Russian at Wadham College, Oxford. His previous books include The Feminine in the Prose of Andrey Platonov (2005), Rosa Newmarch and Russian Music in Late Nineteenth and Early Twentieth-Century England (2009) and The Correspondence of Jean Sibelius and Rosa Newmarch, 1906-1939 (2011).